With chipping being such a big part of the short game, I decided to buy a chipping net so that I could practice. This is one area of the game where I need to practice and improve. I estimate that I can knock about 3-5 shots off on a par 27 round, with better chips and pitches. I decided to purchase a chipping net to practice with. The advantage of using a chipping net is that is a fixed target for you to aim at. Also if you are hitting with control the net will catch the balls, saving you the hassle of walking the hitting area to collect up all of the balls at the end. After searching online for a chipping net I found the Izzo Mini Mouth 24-Inch Chipping Target. 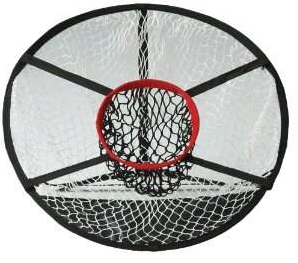 The net is 24″ in diameter and folds so that it can be put into a standard golf bag. The product had good reviews online and cost under $20 shipped which attracted me to the product. I have a small park directly across from where I live and there is a nice quiet area where I can practice. I take the Mini Mouth net and a bag of balls with me. I typically go a couple of times a week after work and hit for about 30 minutes in a session. From doing this I have already noticed a significant increase in my game. The short game is all about touch and from practicing, I have improved my touch around the green. 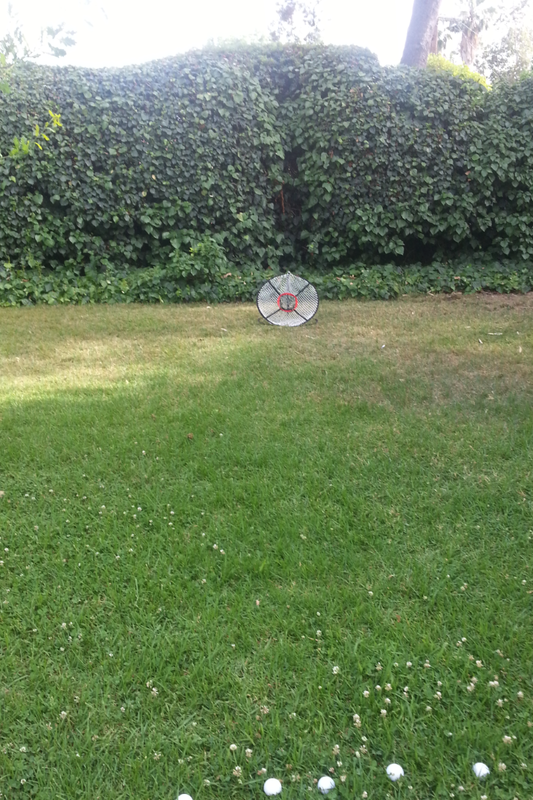 When I first went to practice I made the mistake of setting up the net with some bushes behind. After loosing 5 golf balls in the first couple of minutes I figured out that I should turn it around and ensure there is clear space behind the net. So if I missed, the balls would not be lost in the foliage. The net itself works really good. I was worried it may be too small, but it is not an issue. Only minor negative is that it is a little tricky to fold down. There is not really too much I can write about this net as it is a simple product and self-explanatory. But overall it is a handy piece of equipment to have and I recommend this product, especially at the low price point. Positioning the net with bushes behind = lost balls!